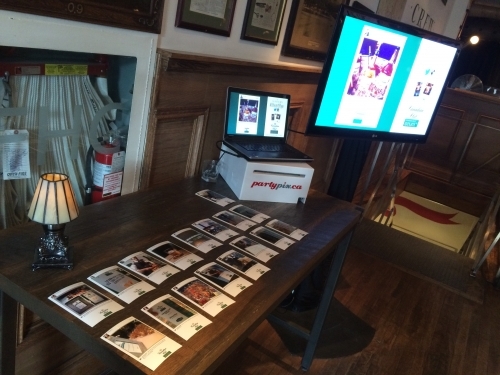 With A Hashtag Photo Printing Station guests are invited to take photos with their own mobile devices and post them to twitter or Instagram with a predetermined hashtag in order to receive a branded printed copy of their photo. Watch a great video of the #HASHTAG PRINTER STATION Photo Booth at Mercedes-Benz Fashion Week Miami. Letting guests post from their personal social media accounts increases the reach and impact of your brand activation or event and gets your content trending online. This is a great video of the #HASHTAG PRINTER STATION Photo Booth at Mercedes-Benz Fashion Week Miami. Interstitial slides can be added with your branding as well as instructional slides to let guests know which hashtag to use to see their photos on screen and to get them printed.